1st tensioned folding painting projection screen made in France. More than just a projection screen. The ornamental solution for your living rooms or meeting rooms. Imagine: your ornamental painting opens and becomes a large projection screen front eyes of your guests! This are the only projector screens in the world that are both fixed, tensioned, foldable, and concealed behind your favorite art painting. “THE” new generation of projection screen, Made in France. In a “French Art of live” spirit, our patented screens for projectors allows you to personalize your screen with the ornamental painting or photo of your choice and to change it according to your interior decoration. Your projection screen becomes more than a traditional motorized projection screen: “THE” ornamental solution for your most beautiful interiors or VIP meeting rooms. Screen frame made in France. More, your screen is a folding screen and a tensioned screen. 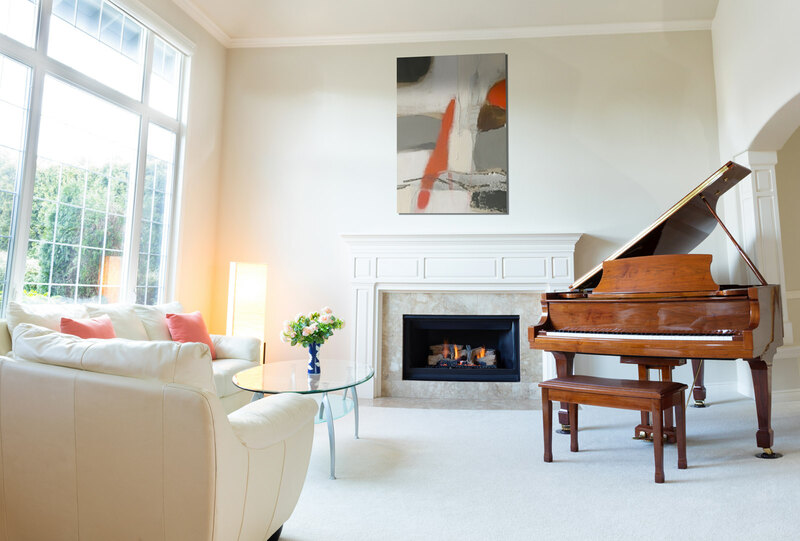 No more casing on the ceiling, just a painting on your wall! We manufacture every screen, hand made and made in France, with the options and finishes of your choice, for a perfect integration in your living room, your meeting room, seminars room, hotels or your yacht. Made with rigid aluminum painted black anti-glare, each screen is equipped with a real professional film canvas, tensioned and laced by hand. Different technical canvases are available depending on your interior, your projection use and the characteristics of your videoprojector: professional reference white canvas, high contrast gray technical canvas, 3D high-gloss silver technical canvas, and transonic canvas to allow you to place your center speaker in your wall behind the screen. All our fabrics are self-tensioned by our patented mechanism unique in the world that retains the canvas at each opening. Because human eye finds that a clear image on a clear wall has no contrast like curtains cinemas, each of our screens is equipped with the widest black edges in the world, 20cm on each side. Contrast perceived by the eye is thus significantly enhanced, and the wide black edges absorb and limit the reverberation of ambient brightness by isolating the projected image of the clear walls of your room. Finally, the ornamental panel clipped in front will allow you to change it according to your changes of interior decoration, or the graphic chart of your meeting rooms in companies. Much more than just a technical screen: the most beautiful ornament of your room.